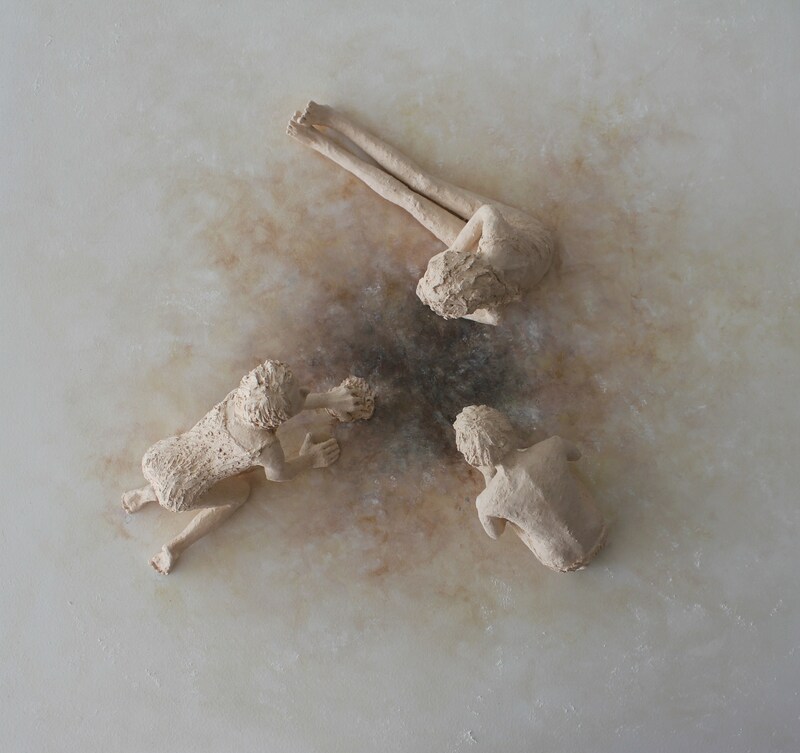 My new work in Gallerie Schortgen, Luxembourg city. 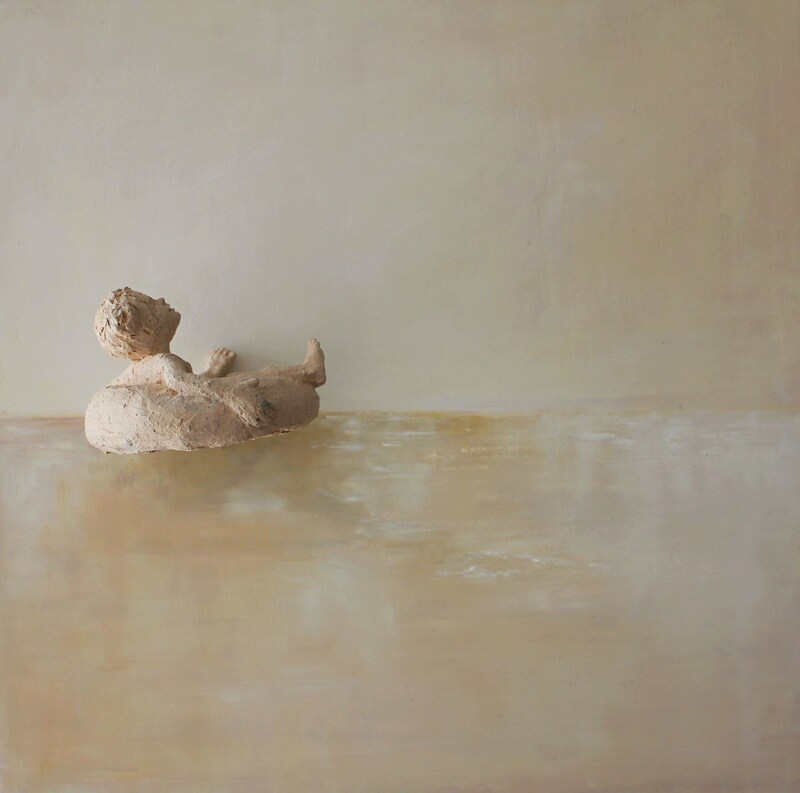 A little girl happily floating on lake Maggiore. A young boy writing on sand. 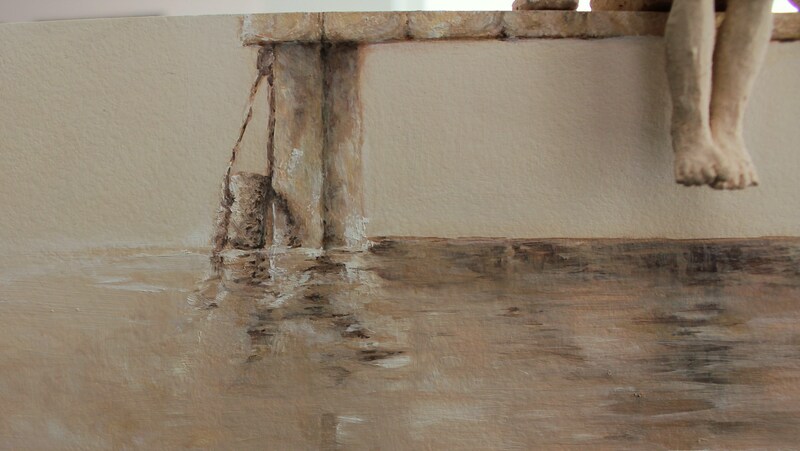 My new works are representations of scenarios I have seen in my very own town, Ascona, Switzerland. They are of kids enjoying themselves on the shores of lake Maggiore; some are playing on the sand, some are writing on the sand, some contemplate life purely by floating on the lake, and looking at the small waves of the water. 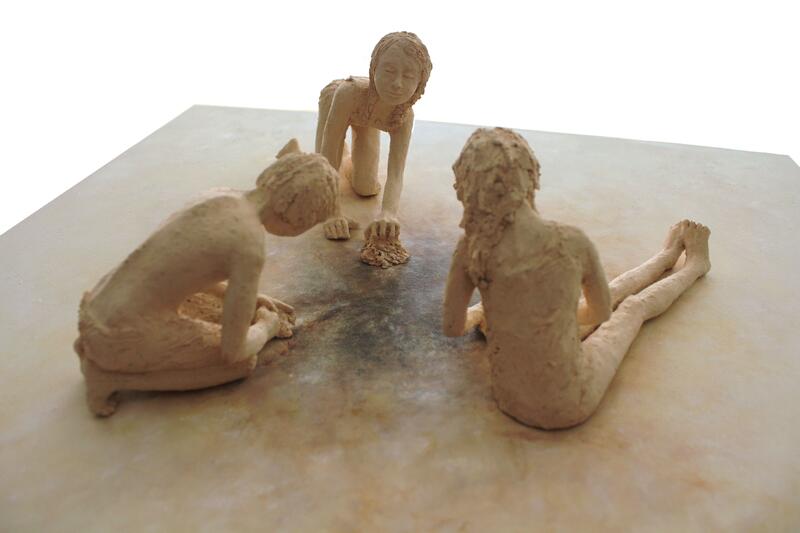 Three kids playing on sand and digging a hole in it. 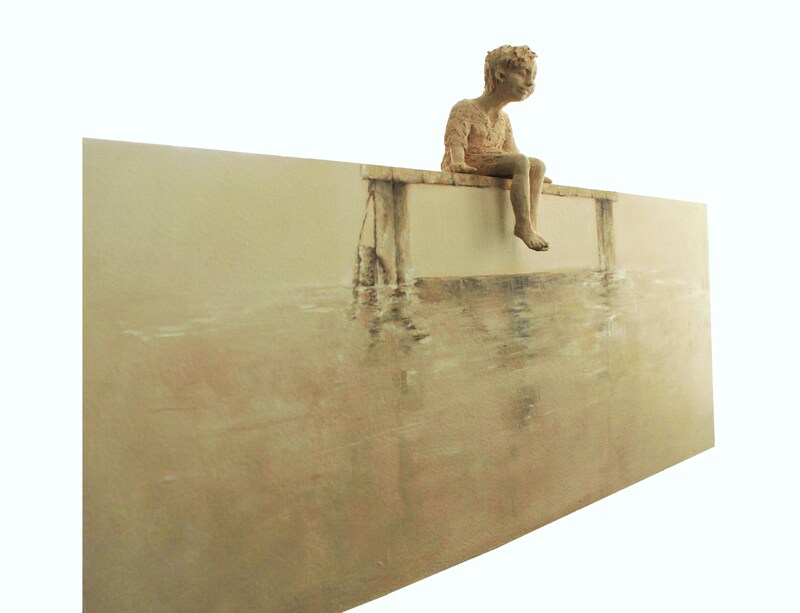 A boy sitting on a small port overlooking his reflection. 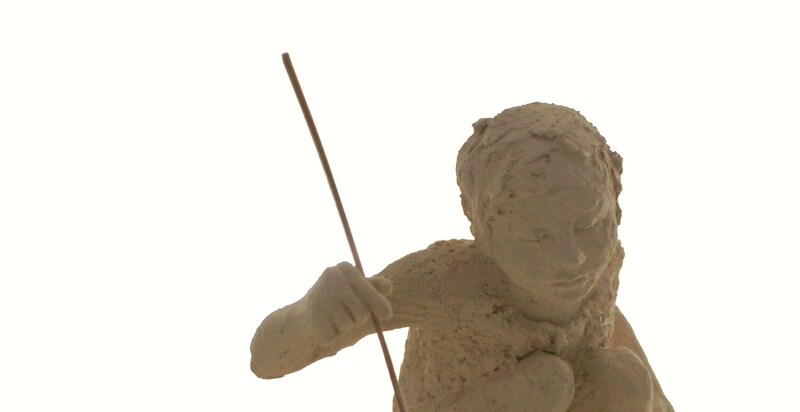 Joy is where you least expect it…in my work, joy comes from the most simplest scenarios. Visiting my paintings at “La Rocca,” and Ronco sopra Ascona. 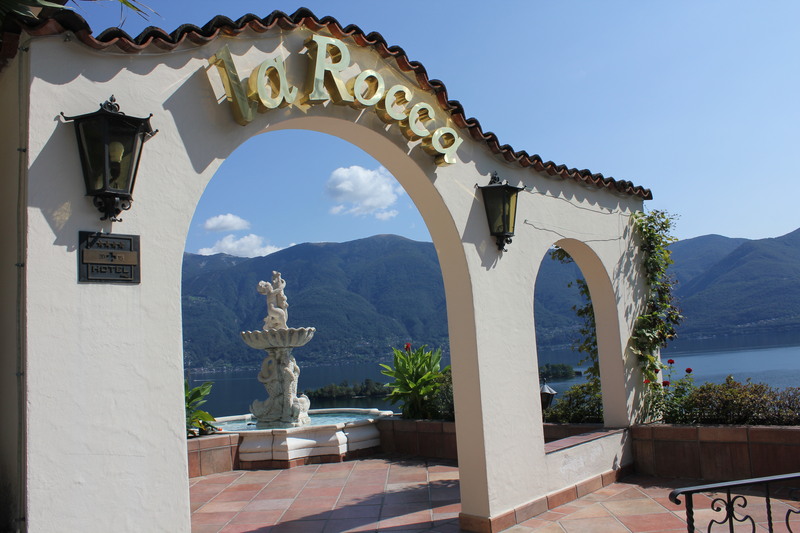 Hotel La Rocca, Ronco sopra Ascona. If you are not from Ticino, or nearby area, you would brush off the fact that I have my artwork in one of the most beautiful hotels in Ronco sopra Ascona, “La Rocca.” If you are from here, however, you would understand why I feel so proud to say I am part of the few selected artists in the owners’ art collection. 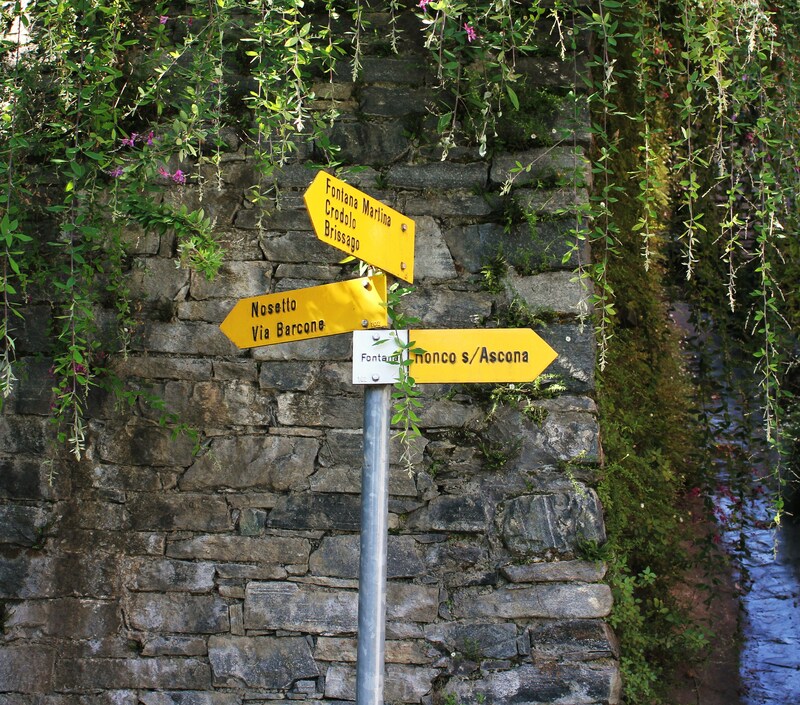 “La Rocca,” a family run boutique hotel, is situated on the hills of Ronco sopra Ascona. 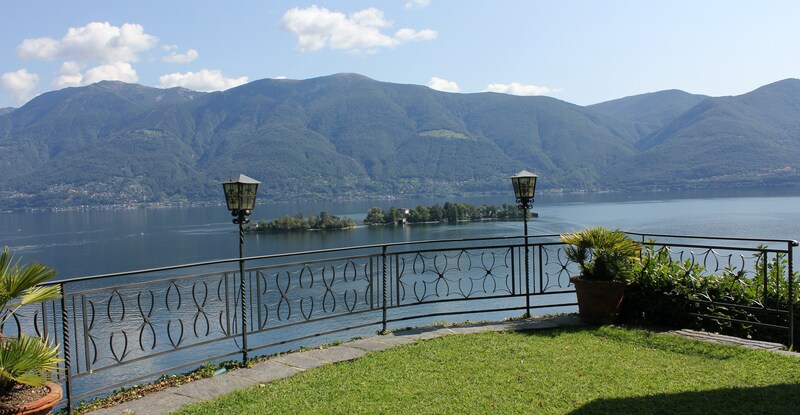 Like Ronco, “La Rocca,” has phenomenal views of lake Maggiore and surrounding mountains. As well as that, the city and the hotel have a lot more things in common, too many to mention. 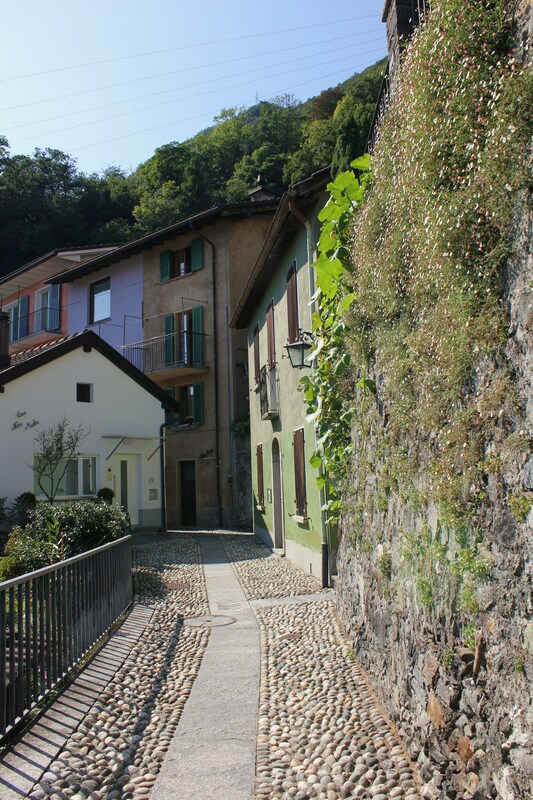 Yet to explain my point in simpler terms, I can tell you that the town and the hotel itself, offer, in their own kind of way, special corners where one can see the residents’ and in the case of the hotel, the owners’ dedication to sharing a bit of culture and history of Ronco, and the Ticino area. Those corners that make the place unique. 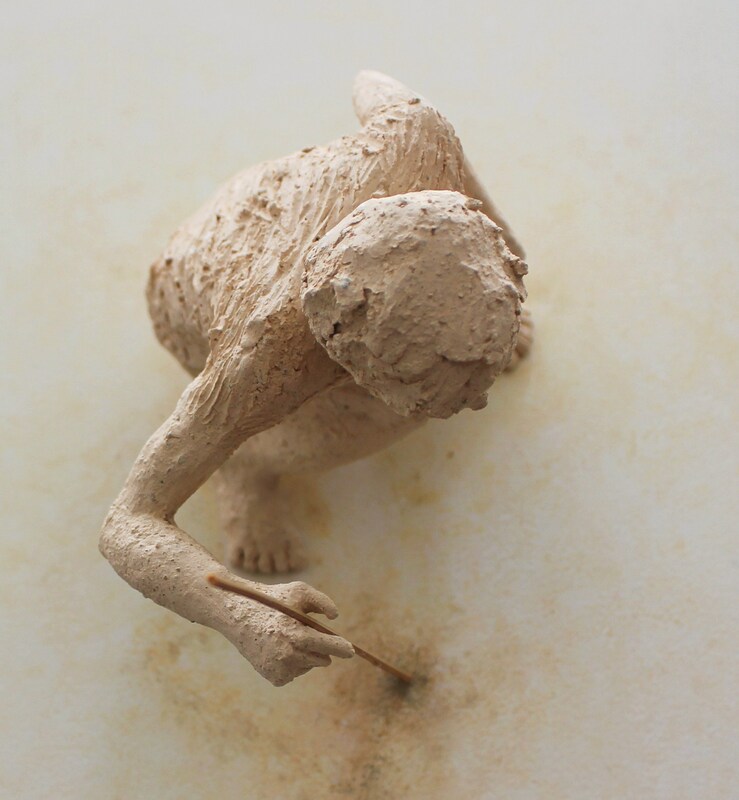 Those corners full of artifacts you can’t find anywhere else! One of the many beautiful views hotel La Roca, offers. 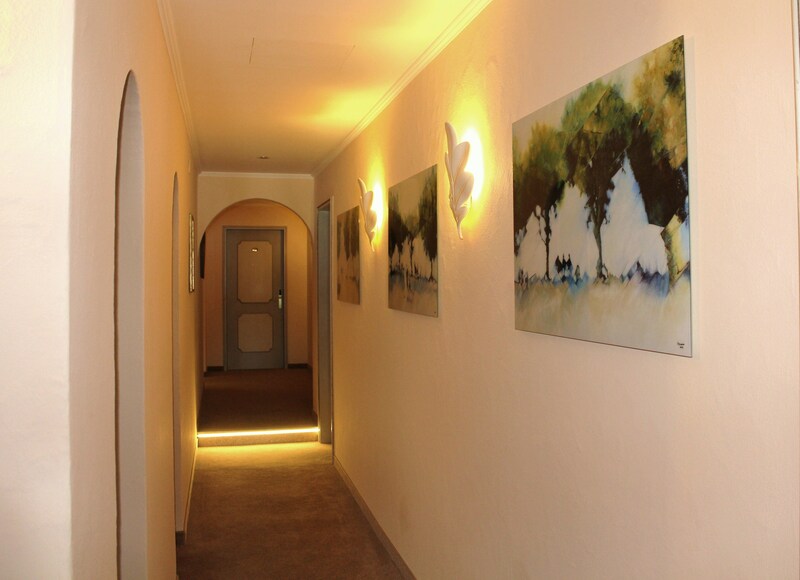 One of the many special corners, in hotel La Rocca. 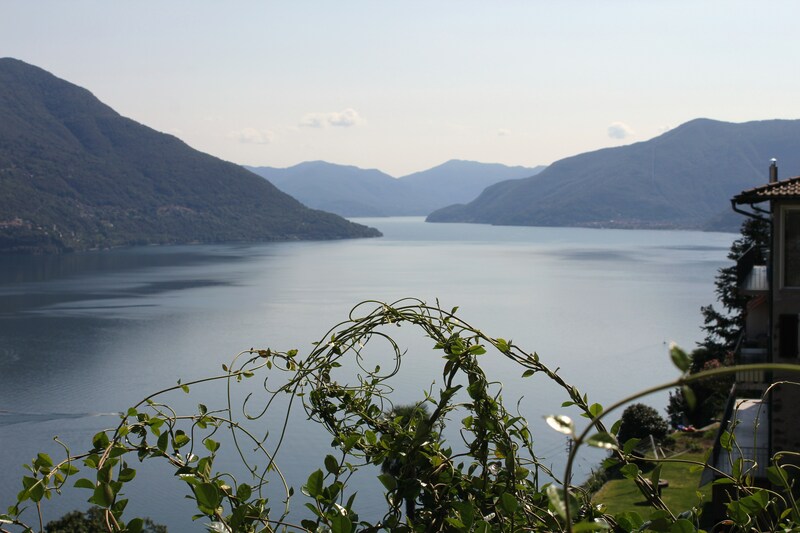 The view of the lake from Ronco sopra Ascona. The small town of Ronco. 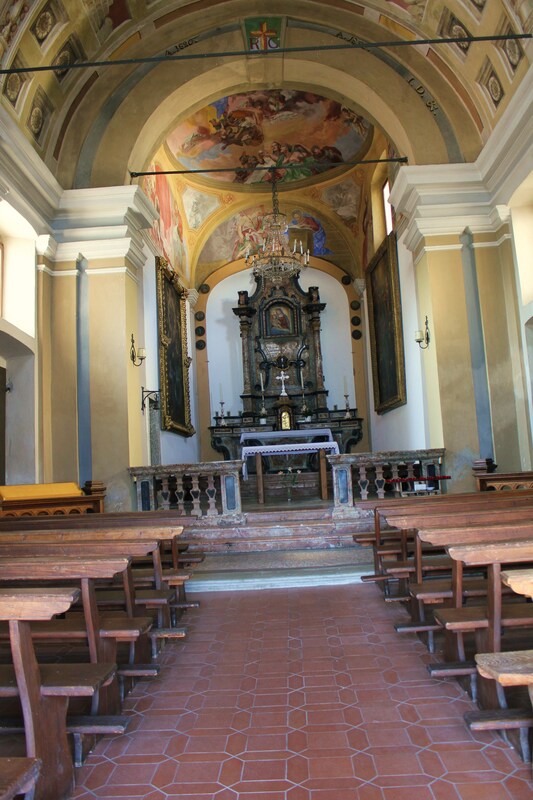 The churches of Ronco sopra AScona. 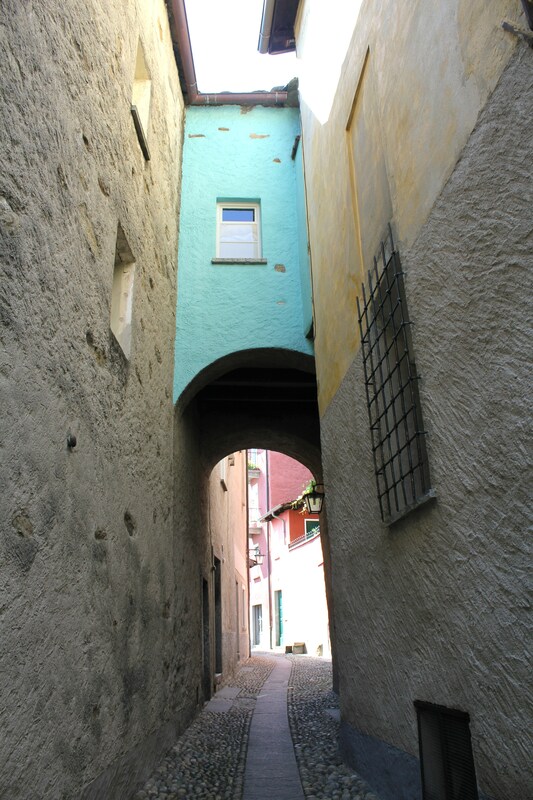 The little streets of Ronco. Other hikes from Ronco…iIf the views from Ronco aren’t sufficient! 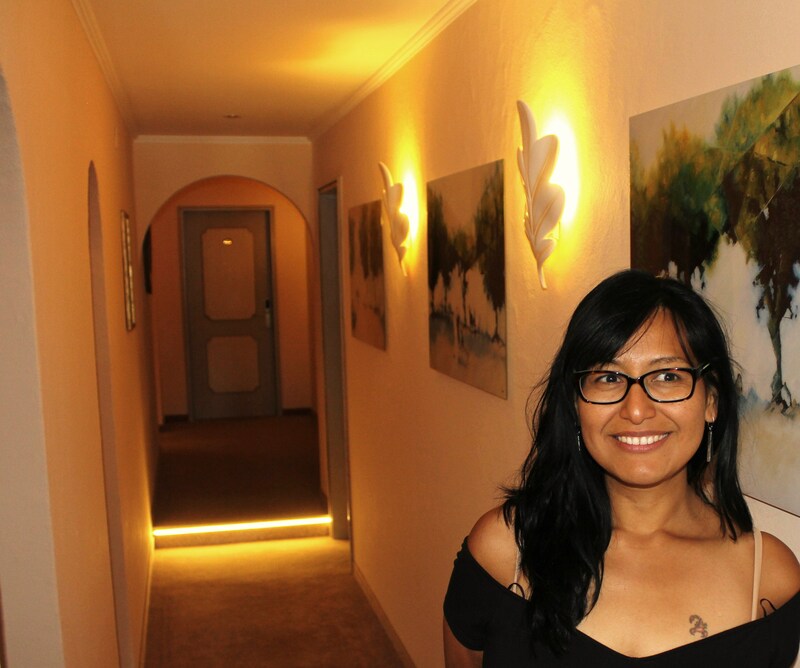 It is indeed a great honor to see my new work hanging on the walls of such pristine location. My favorite installation of my work are the prints on glass of my “Morning coffee” series, the ones which depict the promenade of Ascona. This is so because they are elegantly positioned in the corridor leading to the hotel’s restaurant. Yet, this isn’t an ordinary restaurant: your meal comes with the best views of the islands of Brissago and lake Maggiore! Hence, to me, “Morning coffee” in the corridor is like the introductory piece to a symphony’s ending, the grand finale of a visual explosion! Morning coffee series leading to the restaurant. On the wall: the morning coffee series. My work and I…am distracted by the view of lake Maggiore from the restaurant! 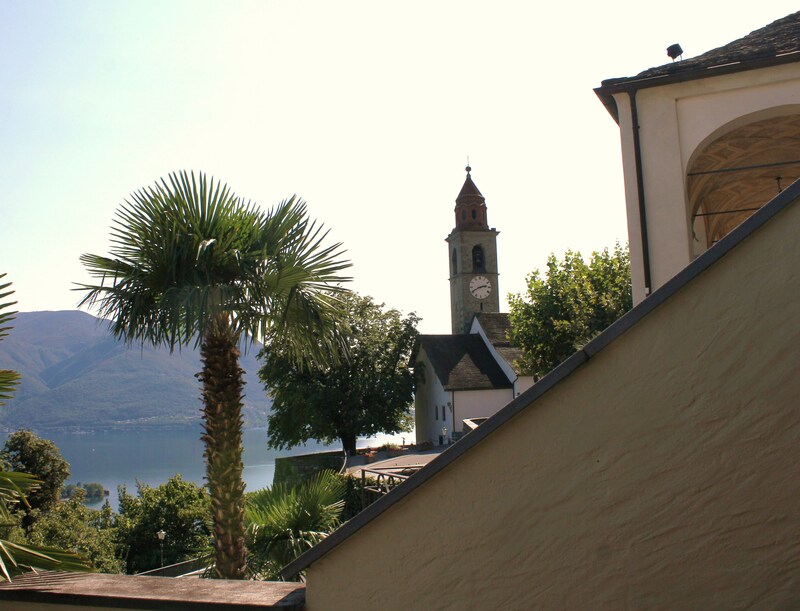 Among “Morning coffee,” the hotel owners have other local images, such as “Morcote,” “Marianne Werefkin,” “Ponte dei Salti,” and the famous “San Pietro,” which has been seen on TV twice: for the Ascona Jazz Festival TV interview, and for the Art Zurich International report in RTV Suisse! 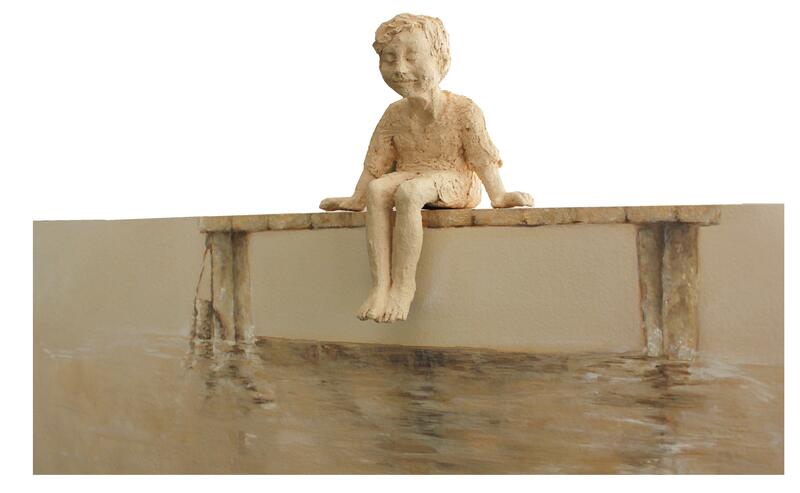 In town, you can find my “San Pietro” behind the glass fountain of Passaggio San Pietro. To say that my last visit to “La Rocca” moved me is an understatement! 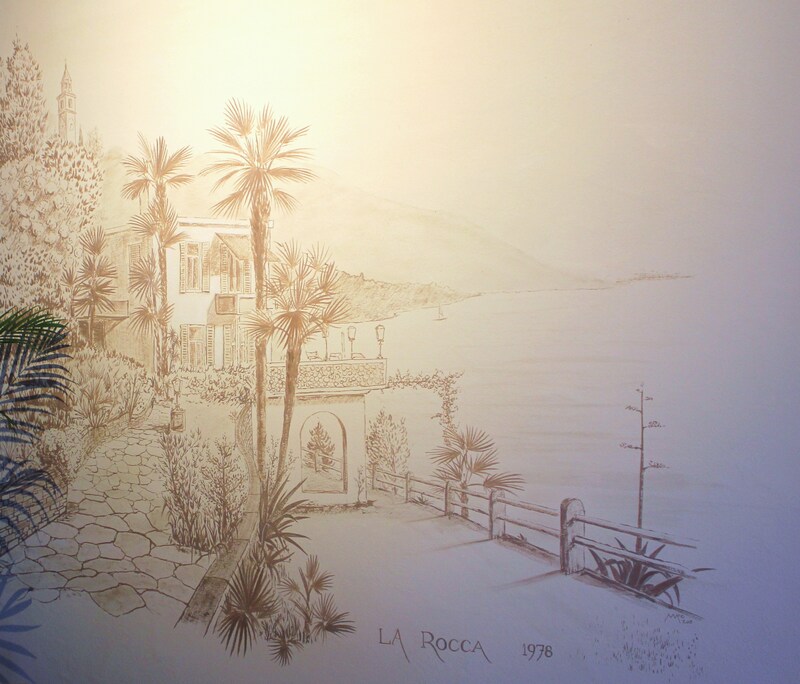 I realized, as I took pictures of my work on the wall, how grateful I am to the owners, for allowing me to be part of those special corners that make their hotel a special spot in Ronco sopra Ascona. What is more, I thank them for supporting local talent, and art that is born in the towns and valleys of this beautiful canton, Ticino.